Since 2017, licensed Hawai‘i cannabis growers have been formulating and dispensing medical products to qualified state-registered patients. A majority of their clients who are benefiting from cannabis treatments are seniors. Different strains of the plants grown for use as medical cannabis are used for particular health outcomes. 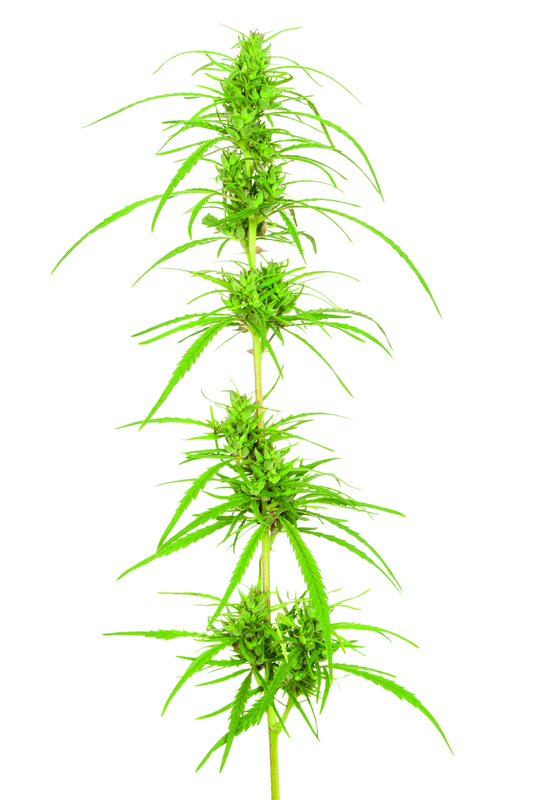 Above: two strains of flower buds; cannabis seeds used in extracts. Maui Grown Therapies dispensary in Kahului has been open over a year. Leading their Science & Medical Advisory Board is Dr. Andrew Weil, director of the University of Arizona Center for Integrated Medicine, an advocate for alternative medicine and an early pioneer in the research of medical cannabis. Joining the other five physician advisors are Greg Yim, MD, a pediatric neurologist with Hawaii Pacific Health in Honolulu, and Gregory Park, MD, a specialist in internal medicine and medical oncology in private practice on Maui. “Dispensary” sounds like a military tent where a supply officer hands out pills too big to swallow and nasty-tasting tonics. Maui Grown Therapies’ waiting area is as comfortable and welcoming as any teaching hospital or fancy clinic on the mainland, just smaller. 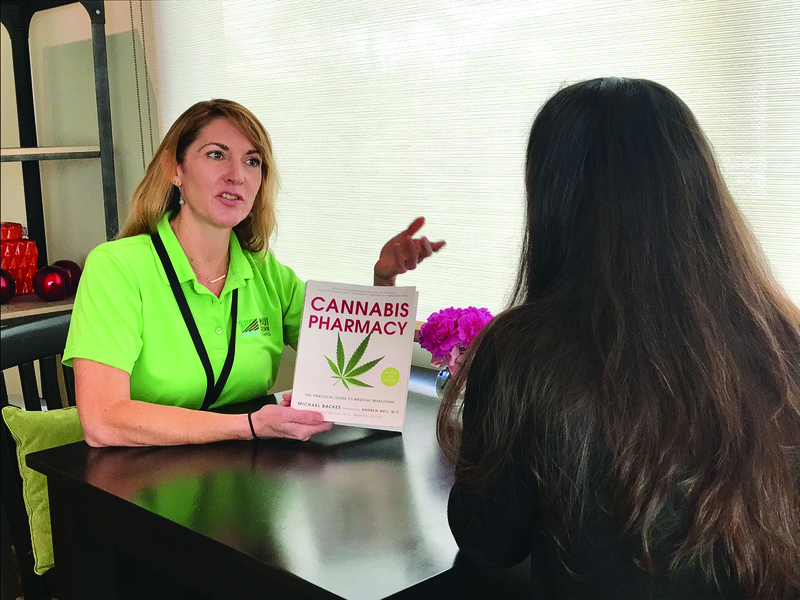 Pleasant patient education specialists greet clients, listening carefully to their needs, and teaching them about professionally packaged botanical therapeutics formulated from cannabis grown at the Maui Grown Therapies production center upcountry. Whatever visions I retained from KITV 4 news reports on cannabis shops in Colorado with young people lined up waiting to buy weed were shattered in a moment. 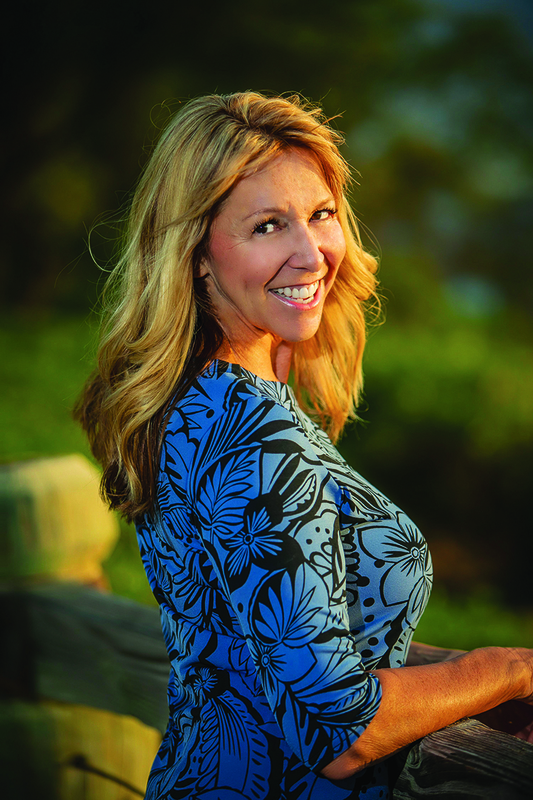 An interview with Teri Freitas Gorman, Director of Community Relations and Patient Affairs for Maui Grown Therapies convinced me that I was behind the times. Teri and I have worked together on community projects for many years; her recent work with medical cannabis is good news for seniors. Medical Cannabis companies across our state are producing and selling a well-researched, state-regulated healing resource for persons with cancer, rheumatoid arthritis and ALS — hopeful options for those suffering with debilitating pain, wasting and nausea. In this article, we will explore the most up-to-date facts about modern medical cannabis products, specifically formulated to relieve symptoms associated with chronic maladies we encounter with aging. Cannabis is the botanical name of a genus of plant grown for 5,000 years in Asia, India, the Middle East, Africa, Europe and South America. Flowers and leaves were used to make tinctures and poultices or smoked like tobacco, and it was prized for its relaxing and mildly intoxicating effects. Cannabis found its way to mainland America in the 1920s. In the 1930s, Harry Anslinger, Commissioner of the Federal Bureau of Narcotics and newspaper publisher William Randolph Hearst Sr. began a campaign to outlaw cannabis that ultimately led to the Marijuana Tax Act of 1937. The cannabis of the time was much lower in tetrahydrocannabinol (THC) than modern cultivars, and many people continued to grow and smoke it “underground” for relaxation and a mild “high” that seemed to stimulate the senses. In the 1950s and ’60s, veterans and hippies began growing illegal cannabis in Hawai‘i. Cannabis was added to the list of Schedule 1 Controlled Substances in President Nixon’s Comprehensive Drug Abuse and Control Act of 1970. Also included was hemp, a form of cannabis that does not have intoxicating effects but is a source of strong fibers used to make rope, fabric, paper, industrial products and building materials. Over the past 80 years, illegally grown cannabis has been selectively cultivated for its ability to induce a euphoric mental state (and in a few individuals, anxiety and paranoia). Dr. Andrew Weil, researchers at NIH and Dr. Raphael Maechoulam in Jerusalem began isolating the molecular components of Cannabis and designing scientific experiments to reveal how these botanicals work on the human nervous system. Research has grown worldwide. 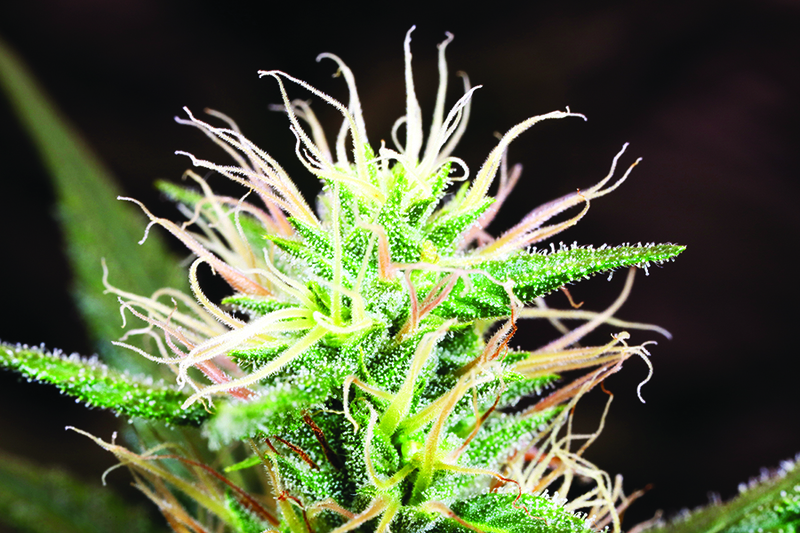 The cannabis plant produces more than 100 different complex molecules called cannabinoids. Tetrahydrocannabinol is the best known because of its euphoric effects. Cannabis cannabinoids are very similar in structure to naturally occurring human “endocannabinoids” like the neurotransmitters anandamide and 2-AG. These are just two of many lipids present in our nervous system that normally interact with receptors in our bodies that modulate signals associated with eating, sleeping and pain response. THC docking on receptors may prevent natural endocannabinoids from approaching the receptors and thereby interfere with pain, nausea or impulse signals to the brain. Another significant component of cannabis is Cannabidiol (CBD), which is not psychoactive like THC, and is a powerful anti-anxiety and anti-inflammatory agent that causes general relaxation of the body. Its mechanism of action is not yet fully understood, but researchers identified a separate receptor, mainly on immune system cells, but also in selected cells of the central nervous system, to which CBD attaches. They theorize that CBD modulates a protective effect on the nervous tissue, as well as an analgesic effect. Patients with chronic pain understand the “echo” of repeated pain impulses which make it impossible to relax. Induced relaxation reduces the intensity of chronic pain. Medical cannabis dispensaries have formulated products that are CBD-rich, or have equivalent amounts of THC and CBD, and CBD-dominant preparations that are nearly entirely CBD with no intoxicating effects it all. Cannabis products offer relaxation, better sleep and pain reduction for those struggling with chronic pain. 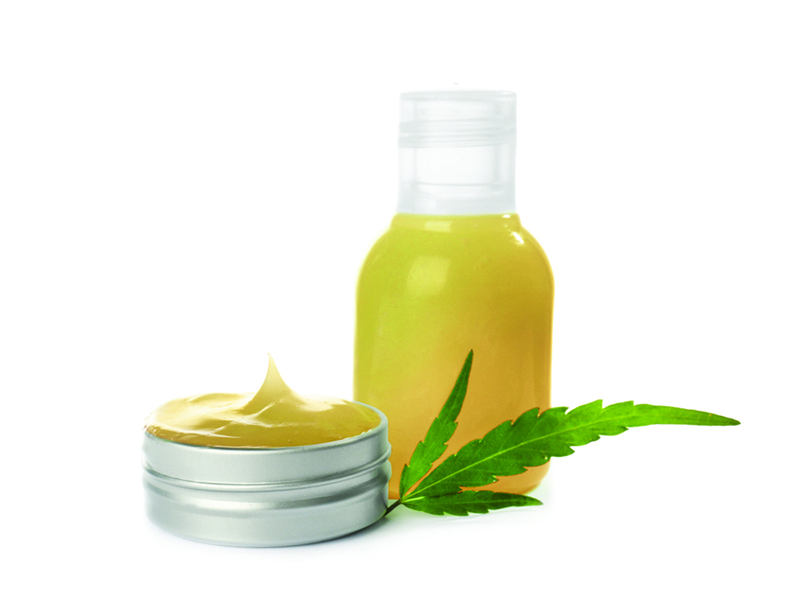 Because cannabidiol-based products do not produce intoxicating effects, creams and oils containing CBD may be available over the counter at health food and vitamin stores or online. It’s important to know these products may not be regulated or tested for purity or for CBD content. Hemp, the source for over-the-counter CBD oils, is known as a powerful bio-remediator because the plant draws up heavy metals and toxins from soil. It’s great for environmental cleanup, but untested plant products pose a possible health risk to consumers. 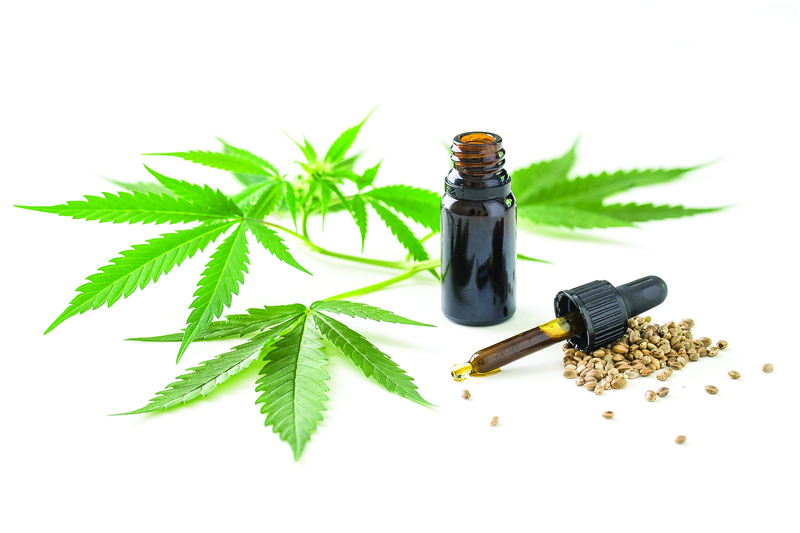 Even though some hemp-derived CBD extracts are produced in the United States, most are still imported from overseas and consumers should be wary about the origin, purity, and content of over-the-counter CBD products. All Hawaii-licensed dispensaries grow their cannabis and manufacture cannabis products under strict guidelines and are required to pass some of the nation’s most stringent lab tests before any product may be dispensed. Other aromatic hydrocarbons found in cannabis are called terpenes, which account for the scents of various cultivars of the plant. The effects on inflammation, mood, alertness and relaxation by essential plant oils containing terpenes are well documented. The presence of terpenes in cannabis formulations and how they interact with THC and CBD is under investigation. 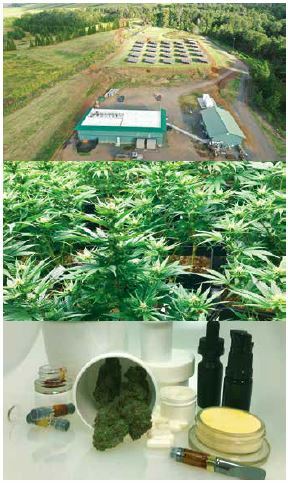 By regulation, each dispensary must produce its own products through a vertical system that starts with farming and results in uniquely formulated products. How many dispensaries are licensed in Hawai‘i? Although medical cannabis has been legal in Hawai‘i since 2000, Hawaii Statutes protecting patients and a licensing system that regulates cannabis farming and therapeutic manufacturing was not in place until 2015. Of eight approved licensees, six have opened dispensaries and sell their own products: three on O‘ahu, two on Maui and one on Kaua‘i. The two licensees on the Big Island will open dispensaries in early 2019. 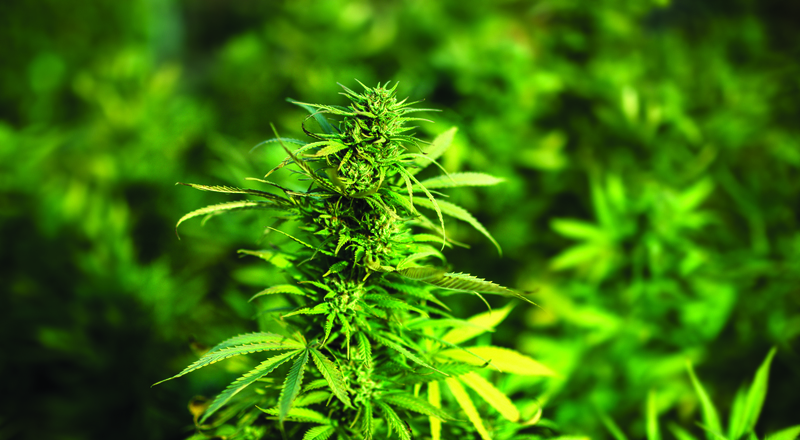 Licensees may only dispense products manufactured from cannabis they grow themselves, so therapeutic products vary from one dispensary to another. Finding the product that works best is a trial-and-error journey for each patient. Because Federal Law prohibits transporting cannabis through federally controlled waters or airspace, cannabis products may not be carried legally interisland or to-and-from the mainland. What kinds of products are sold in dispensaries? First off, medical insurance does not cover the cost of medical cannabis therapies, which fall into the same category as “over-the-counter” medications. Dispensaries provide traditional dry plant buds for inhalation through smoking or vaporization, and a variety of preparations for non-smokers. Cannabis concentrates, resins and distillates may also be inhaled. Serums, lotions and creams may be rubbed into the skin for localized pain relief. Cannabis tinctures, capsules or lozenges may be ingested. 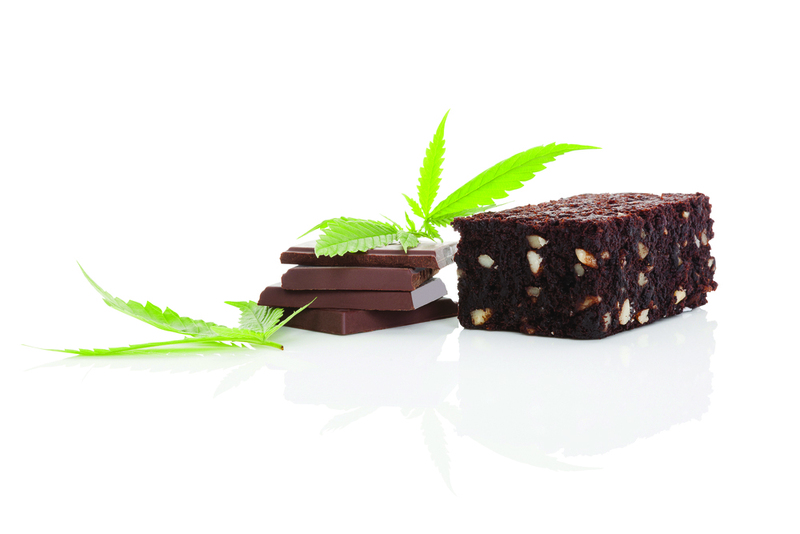 Hawai‘i’s DOH is currently considering approving edible cannabis products for medical use. 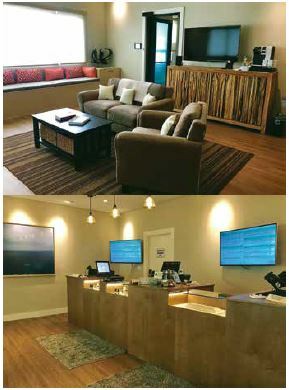 Top: A dispensary waiting room. Above: A dispensary showroom. Styling is unique to each dispensary, and very welcoming. But entry to areas where products are displayed is restricted to patients with Hawaii 329 cards. I think most patients are surprised at the wide array of cannabis medications available. While your doctor may register you as a qualified patient, he or she may not recommend the exact product for your condition. That selection is up to you. Most dispensaries provide educational support to help patients to make an informed choice. Educational staff are trained to answer questions, explain the product properties, how the products perform with other clients and how to determine (titrate) your correct dosing. Because everyone is different and various ratios of THC to CBD offer distinct therapeutic effects, it may take a little trial and error to select a formulation that is optimal for your treatment needs. As Teri at Maui Grown Therapies explained, “Our patient education specialists spend a lot of time learning about the client’s needs. Our knowledge and detailed feedback from patients allow us to suggest products and a dosing with a high probability of success. Our practice to ‘Start low and go slow,’ allows patients to find their optimal dose. We also track our patients’ progress to ensure they are getting meaningful relief. 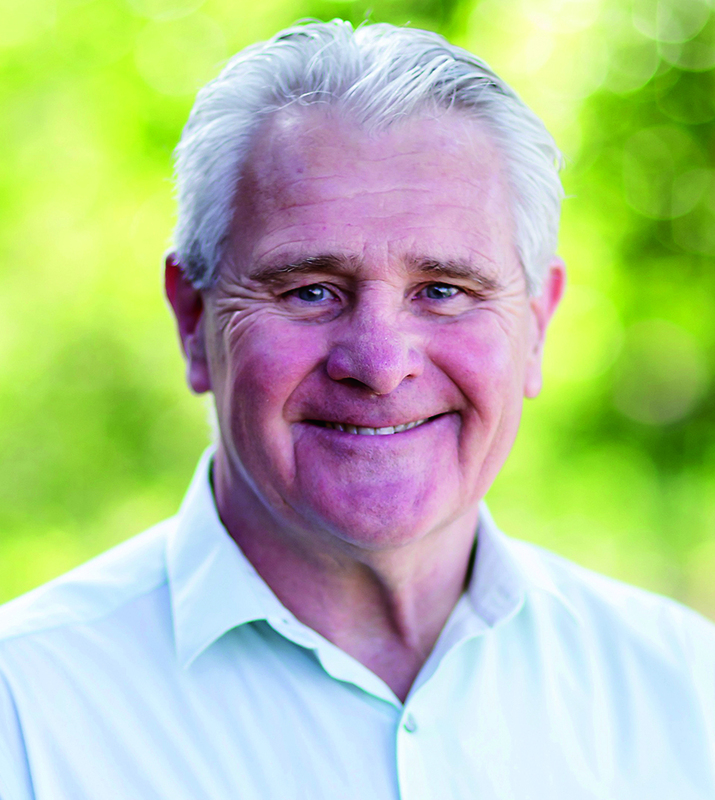 Thomas L Cook, M.D., is a board-certified psychiatrist. His Mending Minds Clinic in Honolulu treats Post Traumatic Syndrome Disorder (PTSD) patients, many of whom are combat veterans. “Many combat veterans have been treated with stimulants like Adderall®, which can make PTSD worse. They are jumpy and hypervigilant all the time. Medical cannabis calms much more effectively than antidepressant pharmaceuticals, with very few side effects. It seems to ‘re-program’ the amygdala, a part of the brain that triggers the fight-or-flee response. “Releasing patients from the passive, hypnotic state of PTSD involves psychotherapy and healing techniques like somatic experiencing. “PTSD patients also suffer sleep deprivation. On cannabis, they experience restorative sleep like they had as a child. 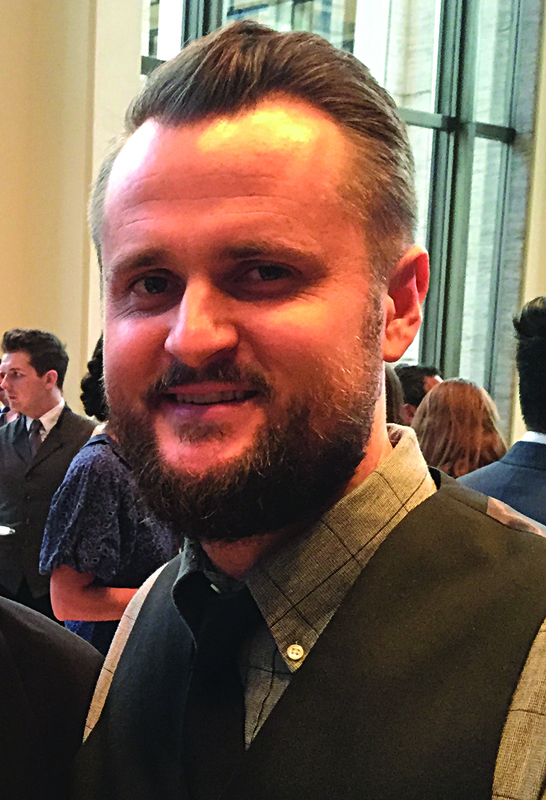 Relief from these debilitating symptoms allows combat veterans to engage in therapeutic integrative strategies where they can master peacetime activities like sports, volunteer work and leadership on the job. “Cannabis has many other applications in medicine — it’s a profound antioxidant, it stimulates stem cells and lowers blood pressure. It’s very good for inflammatory disorders like Crone’s disease, rheumatoid arthritis, lupus and multiple sclerosis. Products with a low, legal level (below .3%) of THC are sold over the counter, but only dispensaries can sell those with a higher level of THC. 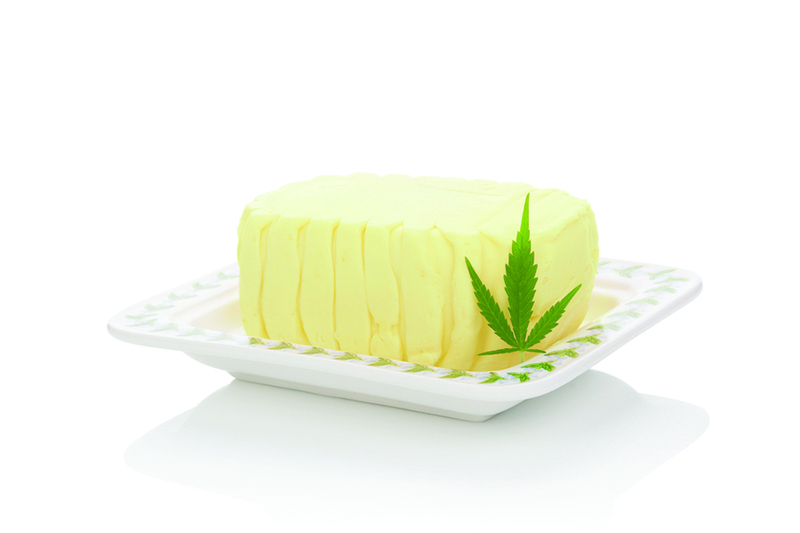 Edible medical cannabis products may soon be approved by the Department of Health. Oncologist Dr. Gregory Park of Wailuku has been treating cancer patients for many years and serves as a director for Maui Grown Therapies. “Cancer patients’ acceptance and willingness to try medical cannabis is striking. My patients are looking for anything that can make their journey more comfortable. When they realize cannabis comes in creams, tinctures, capsules and oils that they can rub in or take by mouth — they want to try it. “Most important to my patients is that cannabis therapies can relieve nausea and pain without altering their mental state. If they know they’re not going to get ‘high,’ they are open to cannabis. Who qualifies to register as a patient? Persons qualified to purchase medical cannabis in Hawai‘i are regulated by the Hawaii Statutes Act 329. 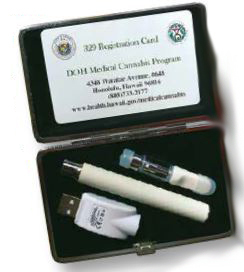 No client may enter a dispensary showroom without a “329 Card” issued by the Hawaii State Department of Health (DOH). Patients with any one or more “qualifying” disorders or symptoms may be certified by a physician or Advanced Practice Registered Nurse (APRN) with whom they have a bona fide (good faith) patient-doctor relationship. This means that a licensed medical professional must examine you to certify that you have a qualifying disorder or symptom as defined on www.bit.ly/DOH329Qualify. Then you may file an online application with DOH requesting your 329 card. The application costs $38.50 and an extra $3.50 handling fee, payable when you apply online. If you seek online entry assistance at a clinic, the fee may be $10 – $15 higher. If you are approved, the DOH will send you a “329” patient ID card that allows you to legally buy medical cannabis products in any licensed dispensary in the state. This month’s Resource Guide (p. 36) lists dispensaries and intake clinics in Hawai‘i. Further in this article, we have detailed all the steps interested seniors must take to complete online registration with the DOH. Susan suffers constant back pain from severe degenerative disc disease, arthritis, bone spurs, five herniated discs and scoliosis. Eventually she will have corrective surgery, but until then, her job in the hospitality industry requires her to stand and sit most of the day. 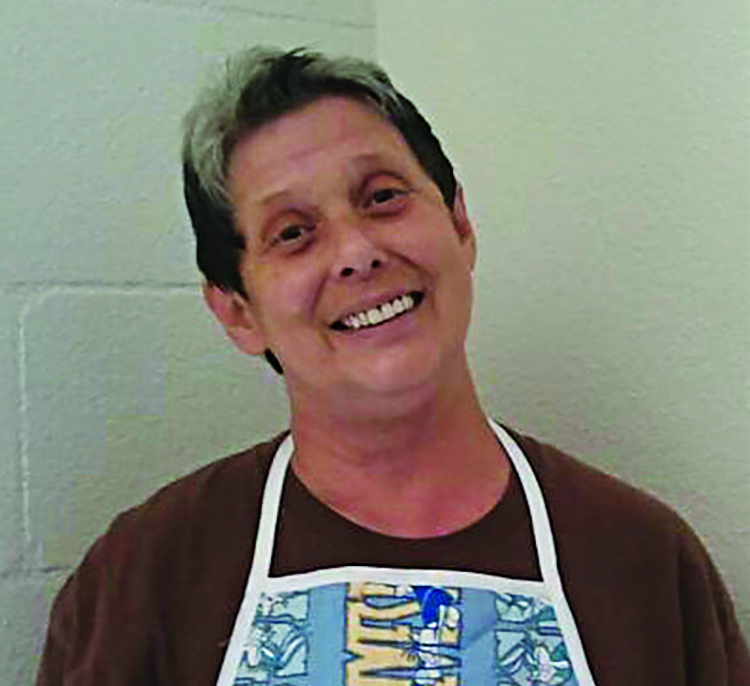 Six months ago, her son, who treats his chronic back pain with products from Maui Grown Therapies suggested that Susan might get some relief from medical cannabis. Susan knew nothing about medical cannabis or the dispensary — she feared that if someone saw her there, they might think that she’s a drug addict. Nothing could be further from reality. “My son was so good. He took me inside and held my hand. The waiting room was a surprise — like walking into a spa! The people in the attractive waiting room were just like me, in their 60s or older. I expected to see young people with dreadlocks and tie-dye shirts. Susan says relieving her pain is a huge benefit. Cannabis fits well with her lifestyle and exercise/treatment plan, which includes Pilates, water aerobics and regular chiropractic adjustments. She says the best outcome is being able to work while she is awaiting surgery. Susan is a client of Aloha Green Apothecary on King Street in Honolulu. She was a special education teacher on the mainland and returned to Wai‘anae when she retired. Here, Susan volunteered a patient advocate and as an elementary school aid, writing curriculum for special education students. She has smoked her whole life and has chronic obstructive pulmonary disease (COPD). Bone spurs on her spine cause her to experience severe chronic pain. “I was reading about medical cannabis and the new dispensaries on O‘ahu. I know that THC can give temporary relief from asthma, so I wanted to get some THC, but a diagnosis of COPD did not qualify me to buy THC in Hawai‘i. “I don’t like the term ‘debilitating’ but my awful, chronic back pain is a qualifying symptom that would get me a 329 card. I was taking six ibuprofen tablets every morning for my back pain, and my Kaiser doctor was worried about the effect ibuprofen was having on my kidneys. I asked him to register me for medical cannabis, but he said no. Apparently Kaiser has federal contracts, so they will not have anything to do with cannabis until it is federally approved and legal. I eventually found a nurse practitioner in Ewa licensed to examine my medical records and certify me as a qualified patient who can benefit from cannabis. “I like the floating feeling of THC, so that is what I bought on my first visit to the dispensary. They had a cartridge that I could put right in my vaporizer to inhale it. It opened my airways and felt great. Dispensary items come in various forms: smokable flower buds and resin concentrates, or concentrated oral tinctures. Inquire about various options at your dispensary. “When I was relying on ibuprofen, I had to wait until it was time for the next dose, no matter how much pain I had. People with chronic pain know how long it takes to get pain back under control once the meds stop working. Well, those days are over for me. Because there are no adverse side effects to CBD oil, I can reapply it whenever I get that first twinge, and never have to wait for the next dose.” Susan would recommend learning more about medical cannabis treatment options to anyone in constant pain. To become eligible to purchase medical cannabis you must first and foremost talk to your primary care physician, who knows your medical history. You must make an appointment and have a face-to-face meeting with a physician or APRN nurse who can certify that you have a qualifying condition that can benefit from medical cannabis. If your doctor does not certify patients, you can make an appointment to see a doctor or APRN who does. They will review your medical records and examine you to determine if you have a qualifying condition. Once certified, you may apply online for registration. If they don’t offer that service themselves, doctors refer their patients to an intake clinic that helps qualified patients and their caregivers file their online applications for DOH 329 cards. A qualified patient who needs assistance may even designate one caregiver to accompany them to the dispensary or to purchase cannabis products for them. On O’ahu, Aloha Green Apothecary provides regular free public “Cannabis 101”, educational program workshops at local Hawaii Public Libraries. To find a program near you, visit www.agapoth.eventbrite.com. Hawaii Statutes on cannabis are designed to protect and regulate both the patients and the dispensaries. 4 ounces of cannabis or the equivalent may be purchased in any 15 day period (8 oz/month). Patients must follow Hawai‘i’s smoke–free law. Qualified patients must consume medical cannabis within a private residence, out of public view. Driving under the influence of cannabis carries the same penalty as a DUI for alcohol. Never drive while medicated with cannabis. Interisland or overseas transport of cannabis is prohibited by Federal law. Registered patients or their caregivers may grow an “adequate” supply of medical cannabis; not to exceed ten plants at one grow site location identified on their 329 card. Growing locations are allowed at the patient’s or a caregiver’s residence. Alternatively, cannabis may be grown on one site owned by a patient or by the caregiver. Federal lands, military bases and national Parks prohibit the consumption or cultivation of cannabis under federal laws that carry steep fines. In early 2019, out-of-state patients may apply for a 329-V(visitor) card from the DOH provided they have a valid certification to use medical cannabis for a Hawai‘i qualifying condition in their home state. Visitor cards are valid for 60 days and may be renewed once per year. Teri Gorman suggests visiting the Hawaii State DOH Medical Cannabis Program’s website at www.health.hawaii.gov/medicalcannabis/ to learn about program regulations and legal protections provided to Hawaii’s registered patients. Very little research has been done on how cannabinoids may react with prescription drugs; its status as a Schedule 1 drug has prevented researchers, even at NIH, from pursuing studies. However, physicians have observed that patients who use cannabis report very few drug interactions and most are insignificant. Still, medical cannabis has the potential, like other plant botanicals, to interact with some prescription medications or lessen their effectiveness. Therefore, it is important for seniors to disclose all medications they are taking (including supplements, over-the-counter products and cannabis) to their healthcare providers and to their pharmacists. A March 8, 2018 article in “US News and World Report” by staff writer Michael O. Schroeder says that, in particular, the effects of medications that relax or sedate the body and lower blood pressure may be enhanced by administration of CBD. He also points out that the intoxicating effects of THC and alcohol can be psychologically addictive for some people. Lowering blood pressure too much and any medications that cause dizziness may lead to accidents and falls, important health concerns for independent seniors. To protect yourself from falling, make sure your healthcare provider knows everything you are taking. We thank all the medical professionals and seniors who participated in this issue’s resource article on medical cannabis. There will be much more research and information available to Hawai‘i seniors in coming years. You may learn more at public educational events sponsored by your local dispensaries and intake clinics on your island. Medical cannabis is one option for seniors aging in place and living well in Hawai‘i. See our Resource Guide for contact and reach information.